​Jay Ballauer is a high school Mathematics teacher in the north Texas area, working in public education since 1994. With a passion for teaching others, sharing his favorite hobby, astronomy, came naturally. Jay is has his hands in several projects, including the MISD Center for Astronomical Studies (CAS), in Mansfield, Texas, and Cruzen Boys Black Hills Observatory, located near Newcastle, Wyoming. Jay also consults and volunteers with the Three Rivers Foundations for the Arts and Sciences (3RF) to help accomplish many educational and astronomy outreach goals. In large part, Jay’s knowledge and ability have grown to be highly respected in the community because of his association with 3RF and its founder Dr. Fred Koch. Jay originally served as the non-profit organization’s founding Astronomy Director. Jay became seriously involved with amateur astronomy when he caught his first naked-eye views of Comet Hale-Bopp in 1997. Over the next few years, he learned how to view the sky through his first scope, a 10″ Meade LX-50, using the old fashioned star-hop method with the standard Meade finderscope. He became a very proficient and knowledgeable observer. Beginning in 2000, Jay jumped neck-deep into astrophotography. It quickly became the favorite part of his hobby because of the challenges inherent when merging art with science; technology with astronomy. With the power of modern CCD imaging cameras and world-class telescope gear, his passion came to include everything from wide-field vistas to narrow-field, high resolution deep sky objects. His images have been published on APOD, in books, astronomy magazines/websites, and a plethora of literature and media. Awards include Best Deep Sky Image at the 2004 Texas Star Party and 1st Place in Sky and Telescope’s 2007 Beautiful Universe imaging competition. 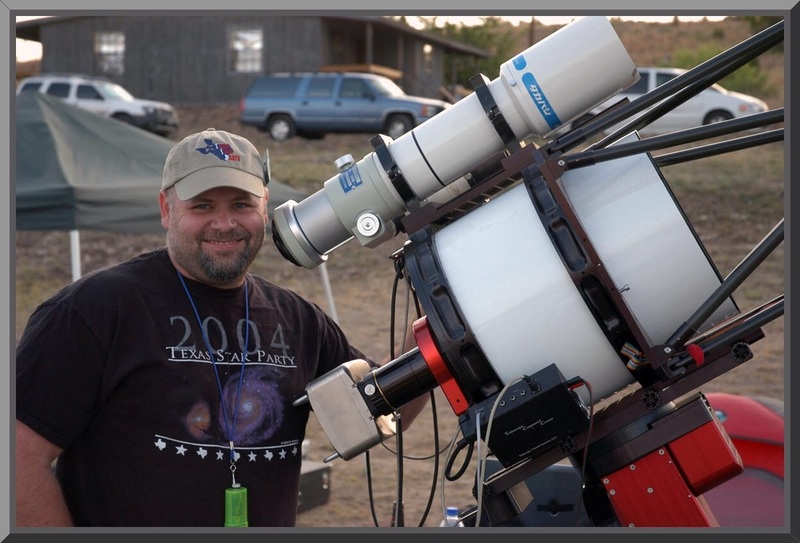 He speaks regularly in 3RF-sponsored imaging workshops throughout Texas, major star parties such as the Texas Star Party and Rocky Mountain Star Stare, and national conventions such as NEAF (NEAIC). Between observing, imaging, and sharing the night sky with others, the blessings come easily. But for Jay, the joy comes also from his family and close friends. He looks forward to a lifetime full of astronomy and astrophotography, having the full support of his wife, Helen, and his three children, Will (18), Peyton (15), and Sara (10). Astro CCD imaging, wide and narrow field, RGB and spectral-band; public astronomy outreach/education; mentoring and consulting. Sky and Telescope, Astronomy, Dark Sky Insight, and Amateur Astronomy Magazine.